Recently a client came to us and said that their job ad was not pulling well after being posted for a few weeks. This happens from time to time across the job search landscape. Sometimes postings are not written well, mis-categorized or just plain boring. So we took a look at the job description to see how well it is “selling” the position and looked for other anamolies. The job was from an Eyecare center and was listed as Patient Care Coordinator via JobsInME.com. As we read the description however, it became clear that the job described did not accurately match the Job Title. Work with a group of people who value your contributions and want to help you grow to your fullest potential. Begin your career in optometry here with us! In the employers eye this job was for Patient Care Coordinator, however to a job seeker it sounds much different. It sounds like a healthcare job so they are probably not even clicking on it. The job is more coordinator, than ‘Patient Care’. The Job Title is the single most important part of any job posted online. It is the first thing a job seeker typically sees so it’s important that it match up with what they searched for. In the case here, most job seekers will not be searching for keywords such as ‘patient care‘ on a job board. Within 3 days time they have now received 14 applications after receiving none in the first few weeks. That is the power of a proper job title! The lesson here? Think like a job seeker and use the keywords they like to search on. 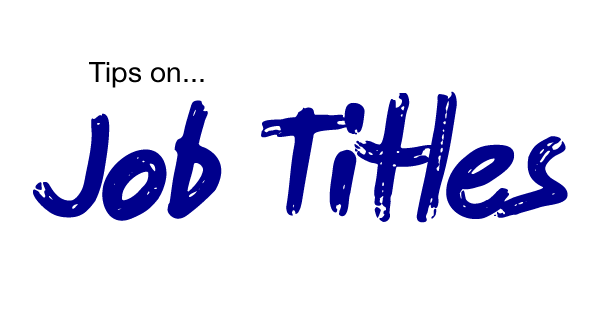 Boil down the job title to its core function.